It is a rare thing when a manufacturer possesses the skill to render two different voices with virtuosity. This is what Bluthner has achieved in creating the Haessler pianos designed and built in the famous Bluthner factory in Leipzig. Haessler pianos were developed in tribute to Dr Rudolf Bluthner-Haessler, one of the great visionaries of the Bluthner family, and share a quality of construction long associated with this famous piano maker. All of our Haessler pianos are fitted with the German Renner action as used in the Bluthner uprights. The Haessler pianos are hand crafted by Bluthner in Germany to an exceptionally high standard. They share tonal characteristics with Bluthner models and present a genuine German made piano at a very competitive price. 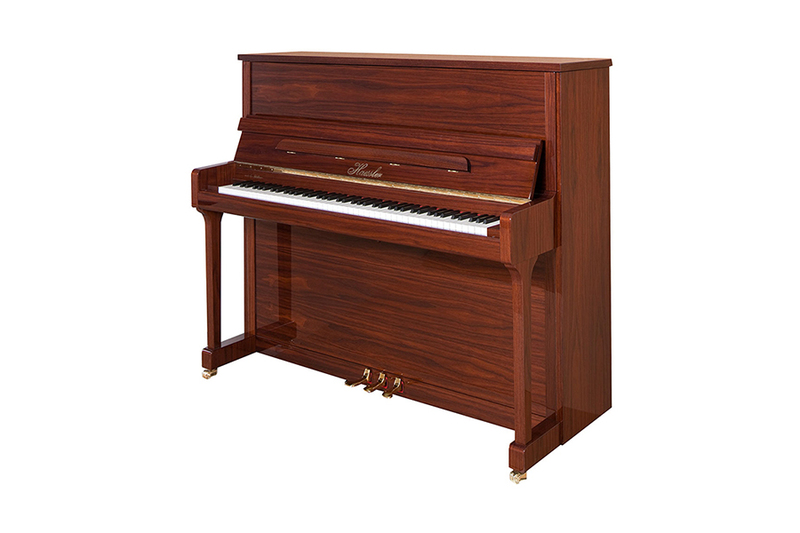 With a superb choice of luxury cabinets a Haessler piano is truly desirable.